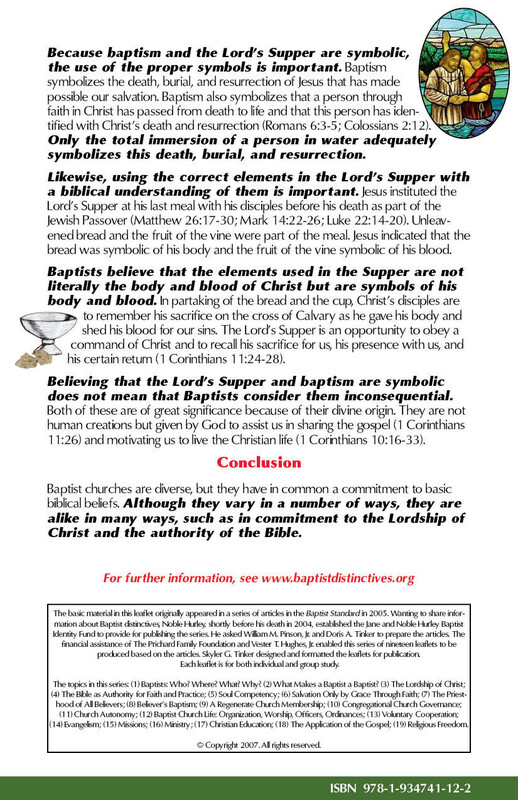 Have a series of sermons on Baptist identity with the Baptist Identity Leaflets made available to the congregation. 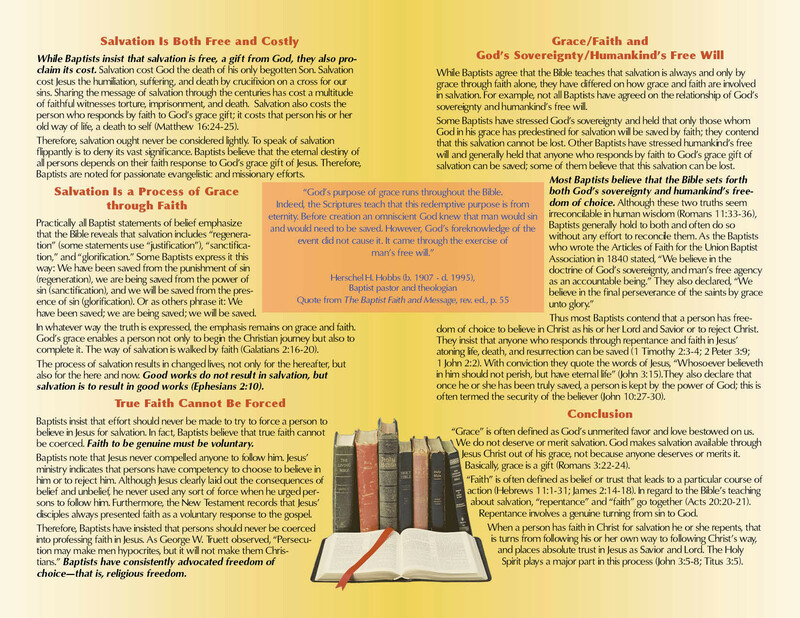 Distribute the leaflets to the congregation, such as inserting in bulletins. Read leaflet excerpts as part of a Baptist identity portion of the worship service and/or project material from the leaflets on the screen in the worship center. 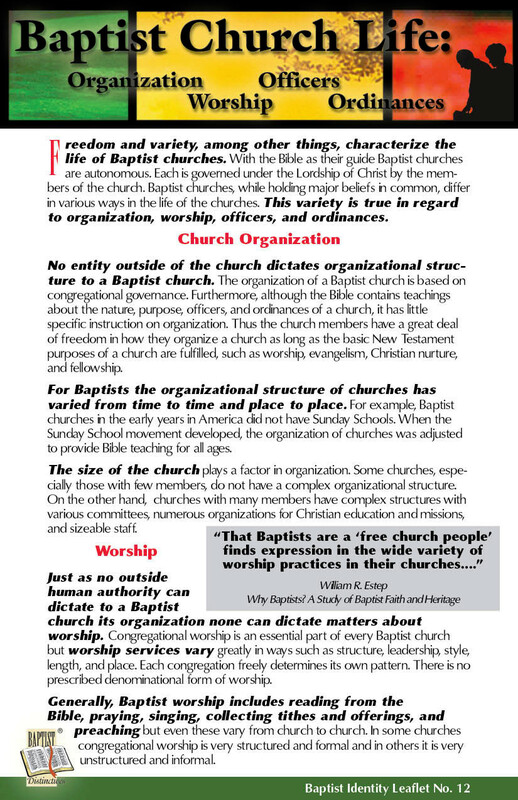 Mail a copy of the Baptist Beliefs and Heritage book and the Personal Study Guides book to each church member or each family of church members with a letter encouraging the use of the material by individuals and/or in family worship times. Utilize the Series in group studies such as Sunday School classes, special Baptist identity classes on Wednesday or Sunday nights, and Baptist heritage conferences. 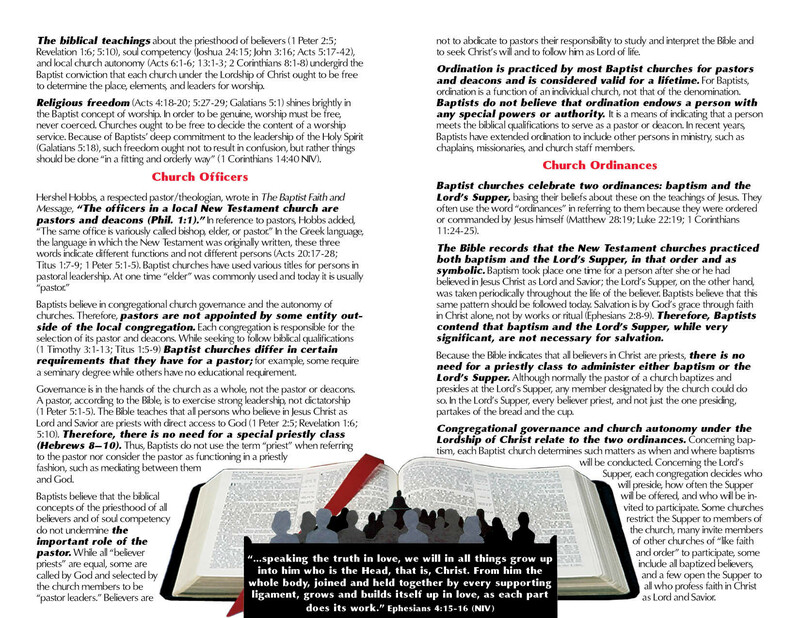 Use quotes or other excerpts from the leaflets or the Baptist Beliefs and Heritage book in the church paper or website. 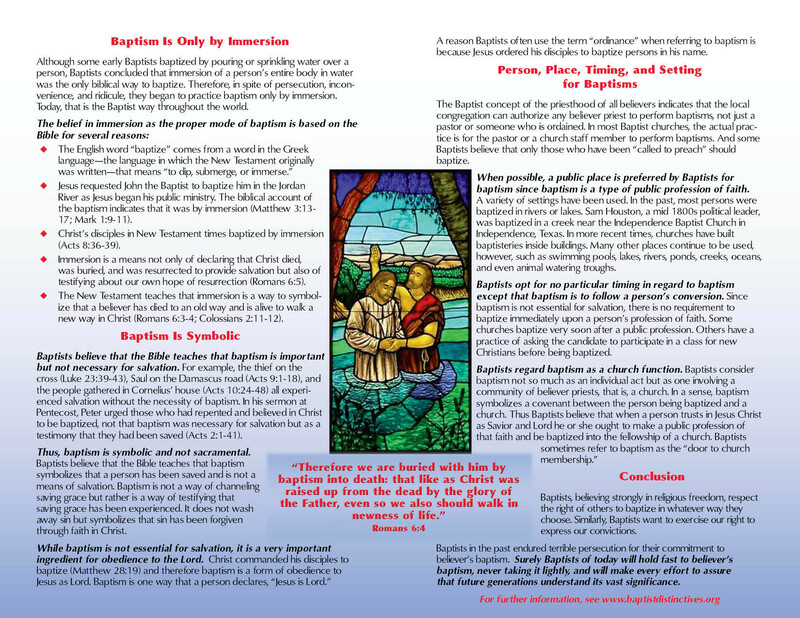 Prepare a display in the church library of the Baptist Beliefs and Heritage book, the individual Baptist Identity Leaflets, and the Personal Study Guides book and have the Baptist Beliefs and Heritage book available for check out. 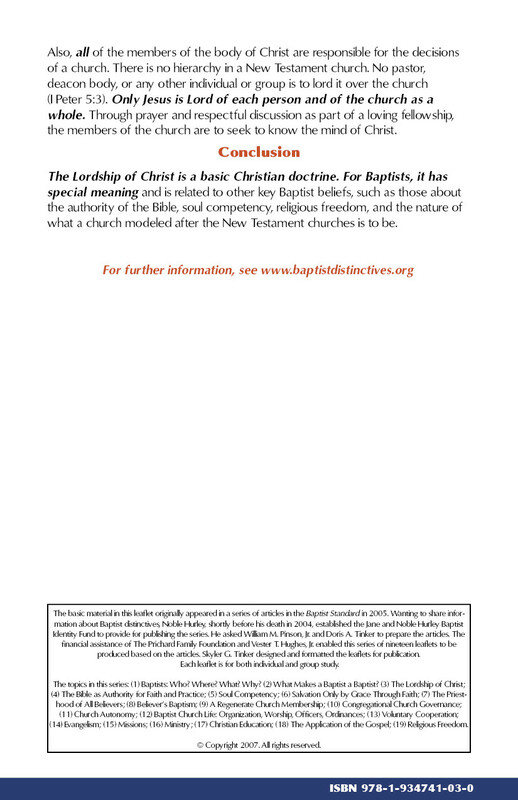 Encourage church members to use the website www.baptistdistinctives.org. 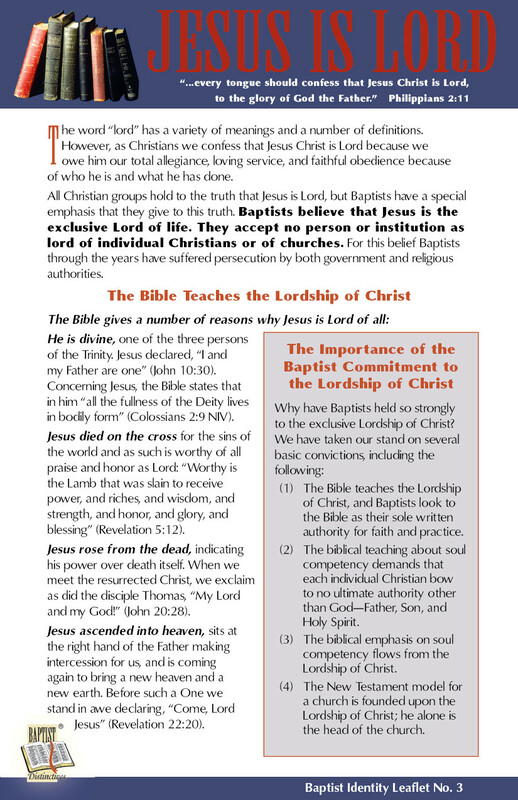 Provide copies of the Baptist Identity Leaflets or the Baptist Beliefs and Heritage book to prospective church members. 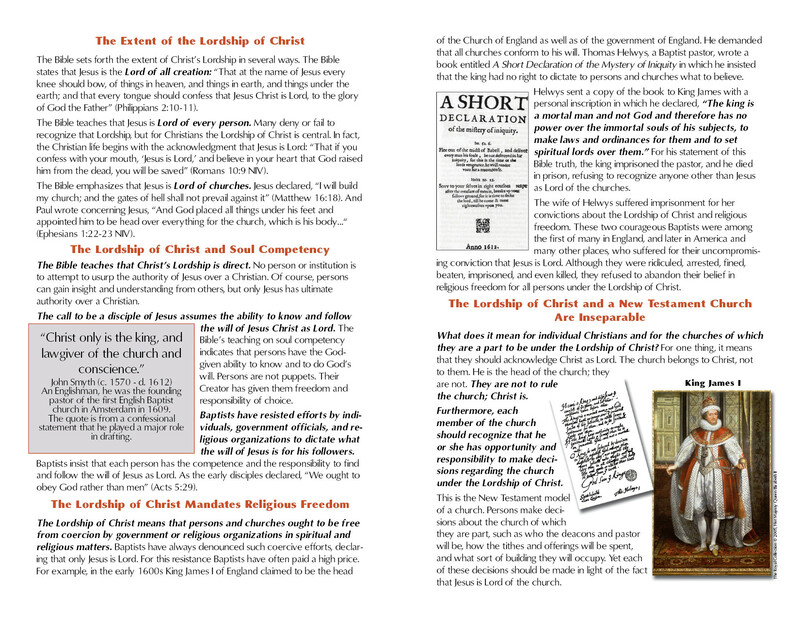 Utilize the Series in classes for new and prospective church members. 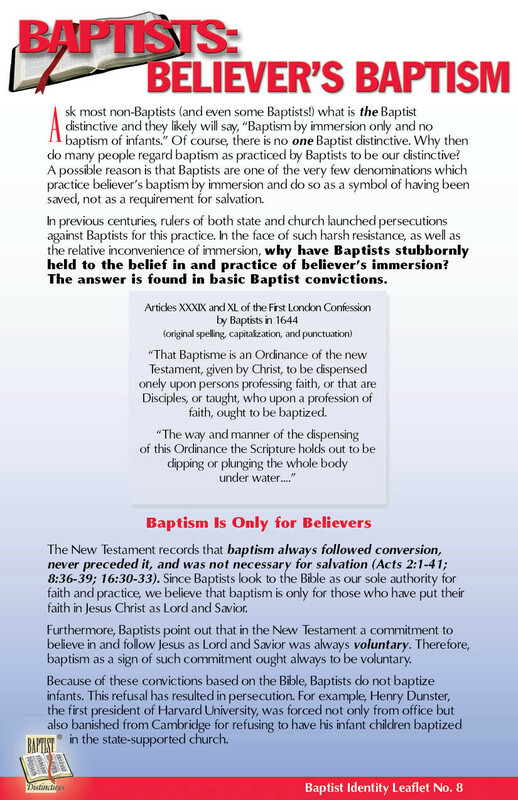 Give the Baptist Beliefs and Heritage book and the Personal Study Guides book to persons joining the church and to each baptismal candidate. 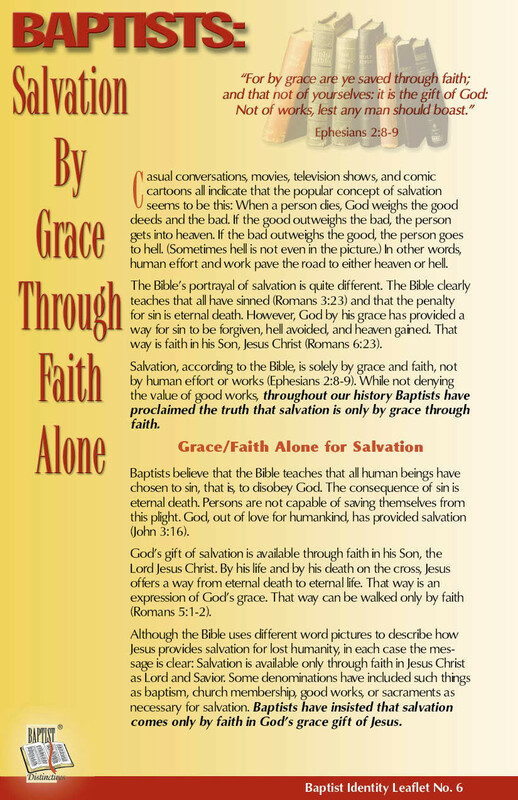 Give the Baptist Beliefs and Heritage book and the Personal Study Guides book to church leaders such as deacons, Sunday School teachers, Bible Fellowship teachers, and staff members and utilize the Series in conferences and retreats for these groups. Provide each member of a pastor search committee a copy of the Baptist Beliefs and Heritage book and the Personal Study Guides book.